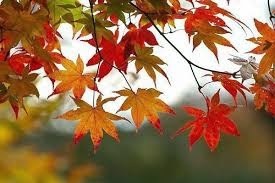 Our next tailgate is in >1 week, and as of this writing the weather is predicted to be pretty perfect football weather: High of 69 Degrees F and low of 51 Degrees F – BLISS!!! And FINALLY – it’s an evening game! So great food and great company and great weather = football season in the South! 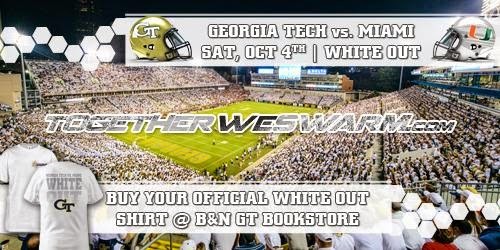 For this conference rivalry it’s a “whiteout” at Georgia Tech. 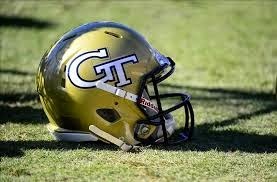 As of 9/26/14, Georgia Tech is going into this conference game with a 4-0 record. 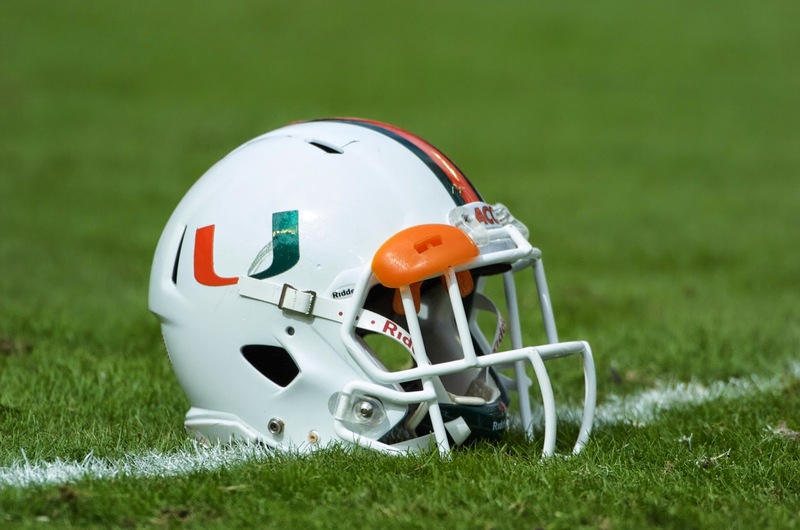 Miami has a 3-2 record thus far this season (after beating Duke on 9/27). This game is an important conference one for both teams, but again, win or lose, the tailgate should be a success! Everyone loved these roll ups. 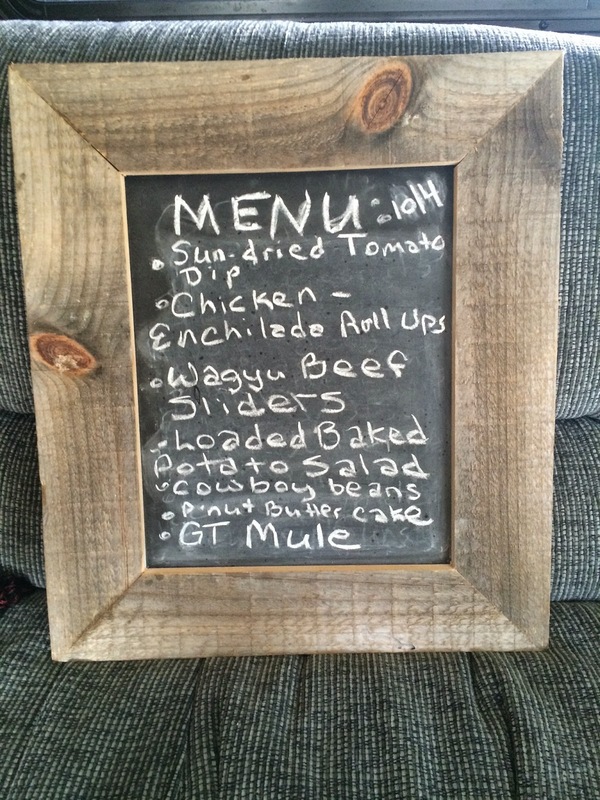 Postcript note: Only thing I’d do differently a 2nd time around is include salsa to go with it. Cook chicken breasts. Cool and shred. 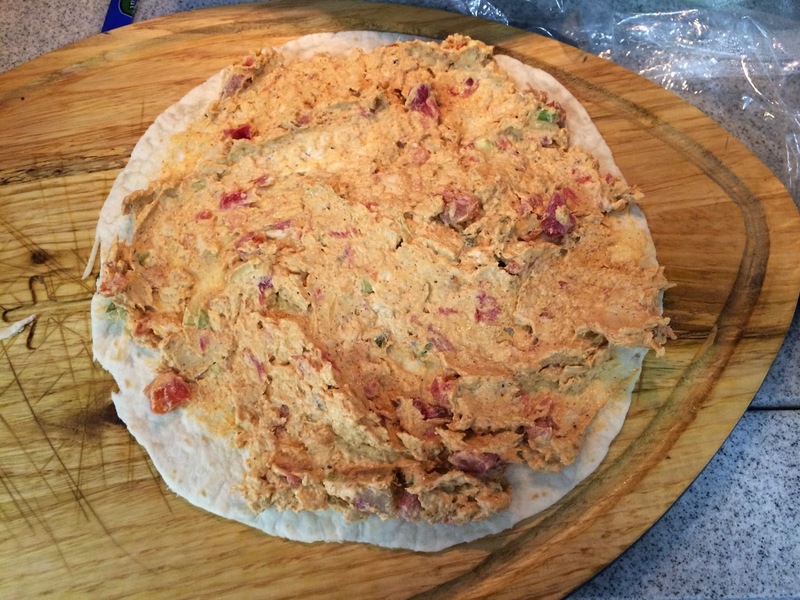 Mix cheeses together until well blended and add to cooked chicken. 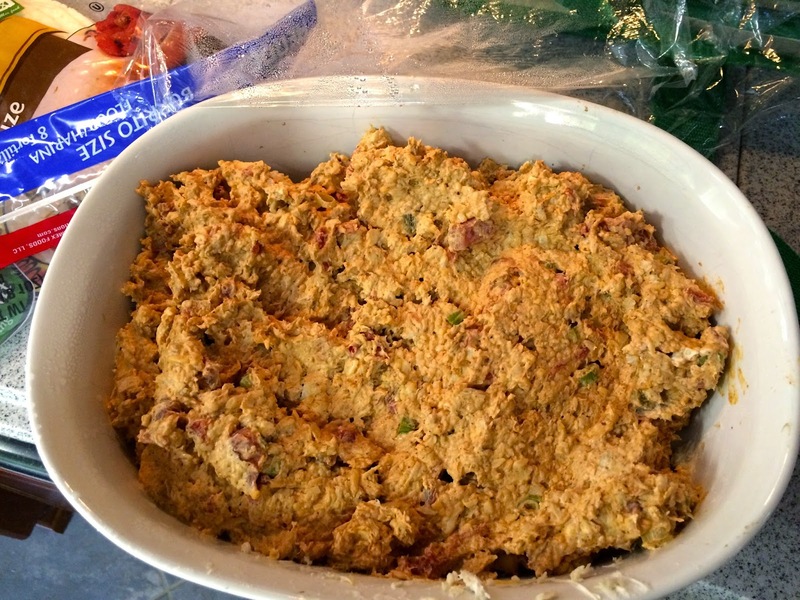 Add all remaining ingredients, using remaining rotel juice as needed to thin mixture, and mix well. 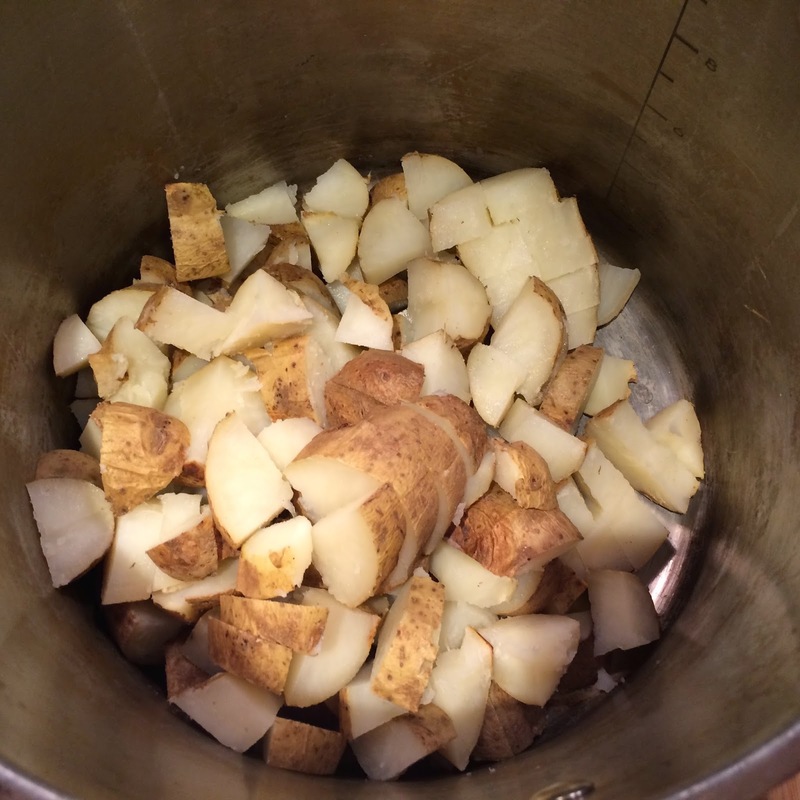 Cover and refrigerate for at least one hour. Place one heaping spoonful onto tortilla. 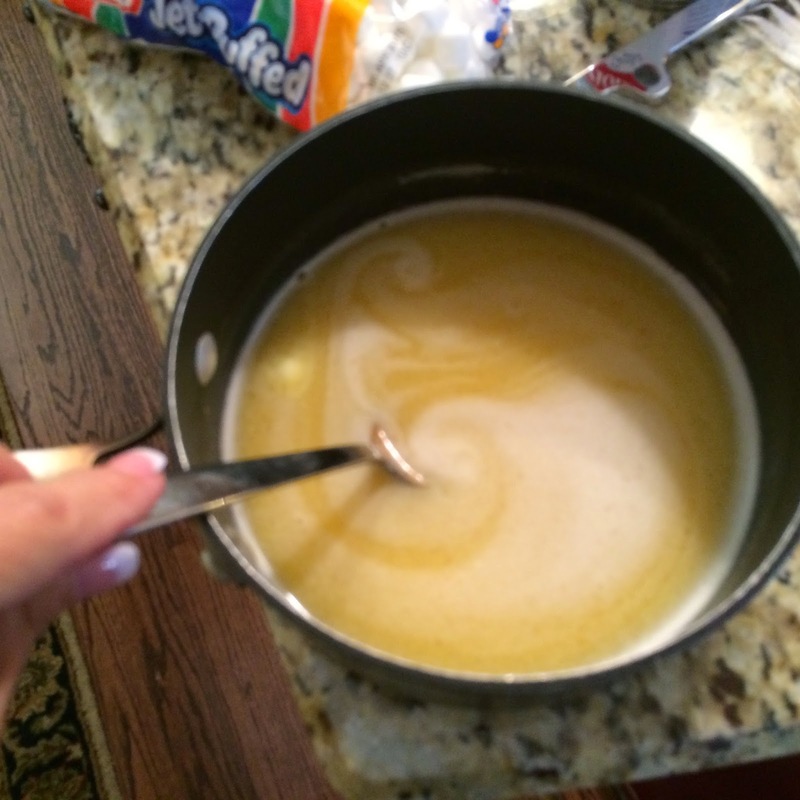 Spread to edges using a metal spatula. 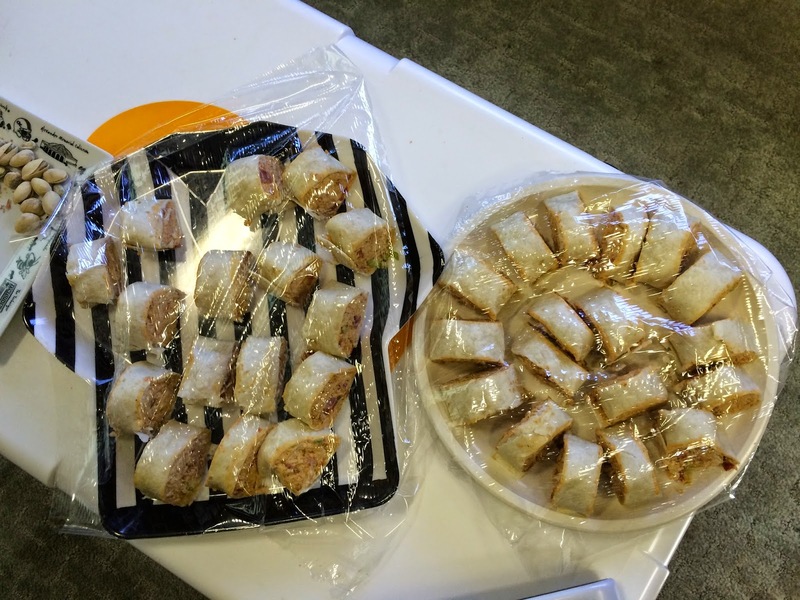 Roll and cut into slices. 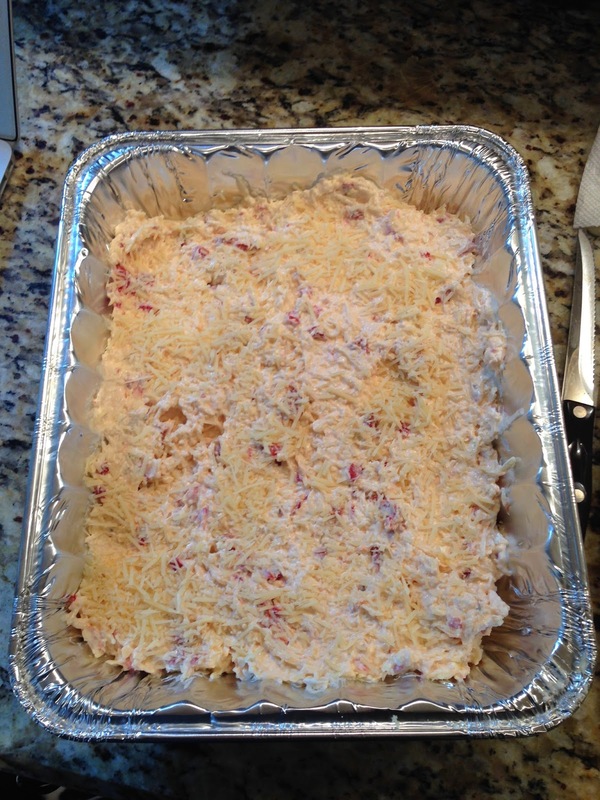 This dip is delicious – makes a large amount though, so be prepared. 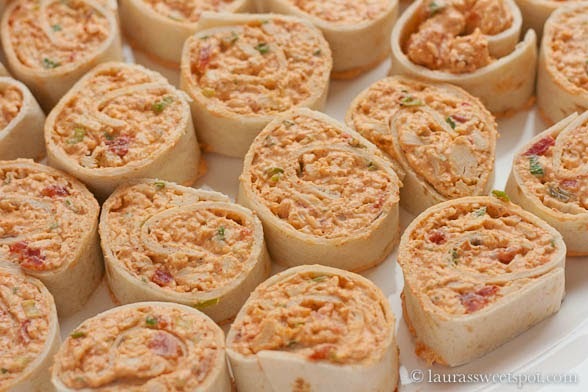 Perfect for serving a hungry tailgate crowd. 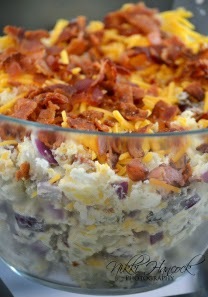 In a large bowl, combine the cream cheese, mayonnaise, onion and garlic until blended. 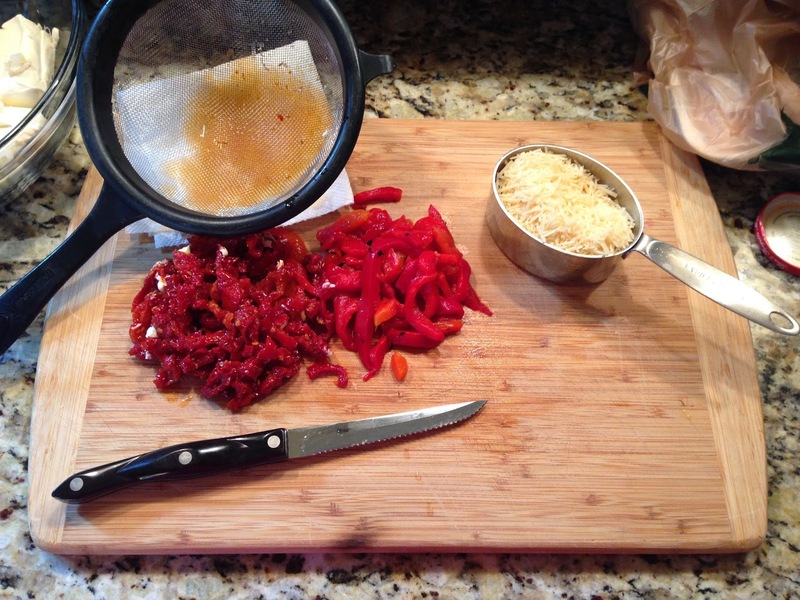 Stir in tomatoes and red peppers. 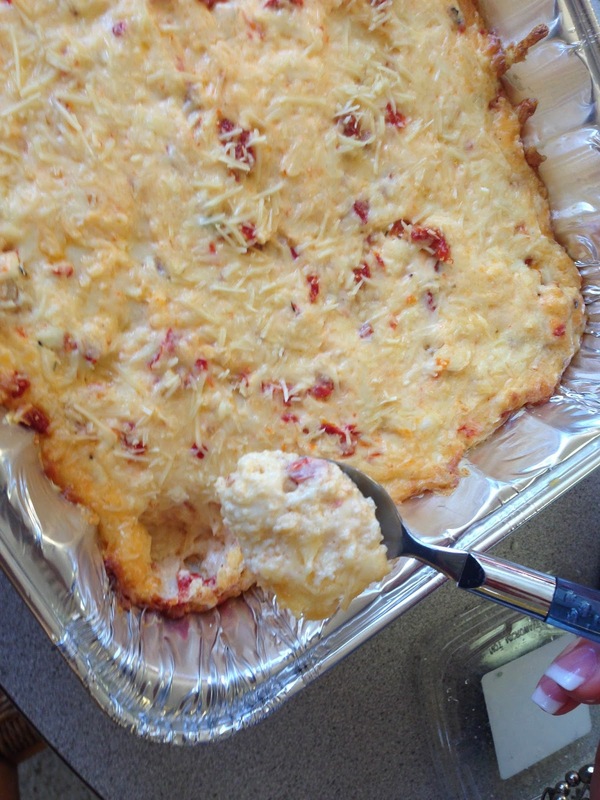 Stir in the mozzarella cheese, Italian cheese blend and 3/4 cup Parmesan cheese. Transfer to a greased 13 x 9 baking dish. Sprinkle with the remaining Parmesan cheese. Bake, uncovered, at 350 degrees F for 18-22 minutes or until edges are bubbly and lightly browned (or you can heat on your grill). 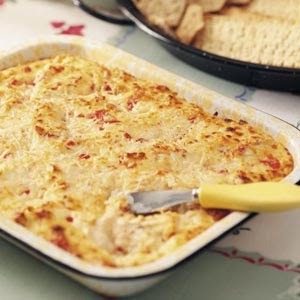 Serve with crackers or chips. It’s yummy! 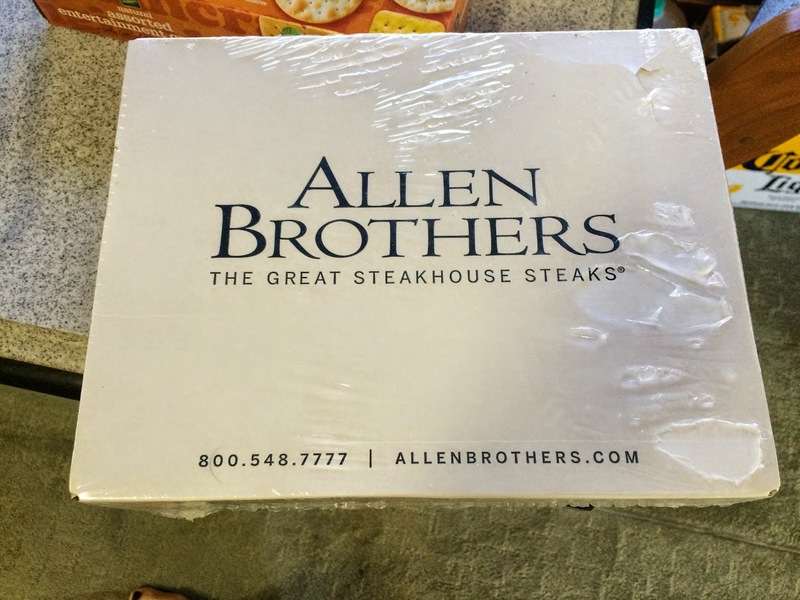 I love Allen Brothers! They are a mail order food company that sells everything from steaks to seafood. 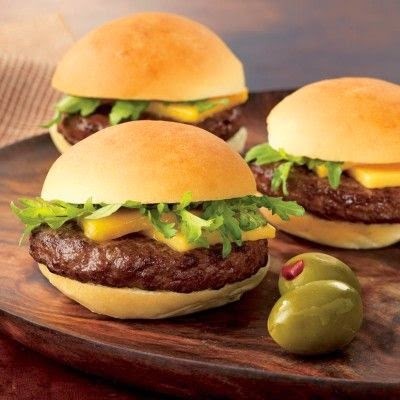 I saw these small wagyu sliders and immediately knew I’d be serving them at a tailgate when the time was appropriate. Wagyu beef us the best there is, and the sliders are perfect to nosh on – big messy hamburgers that you have to hold with 2 hands are not what I want to serve at a tailgate. From wikipedia: Wagyu refers to several breeds of cattle, the most desired of which is genetically predisposed to intense marbling and to producing a high percentage of oleaginous unsaturated fat. The meat from such wagyu cattle is known for its quality. 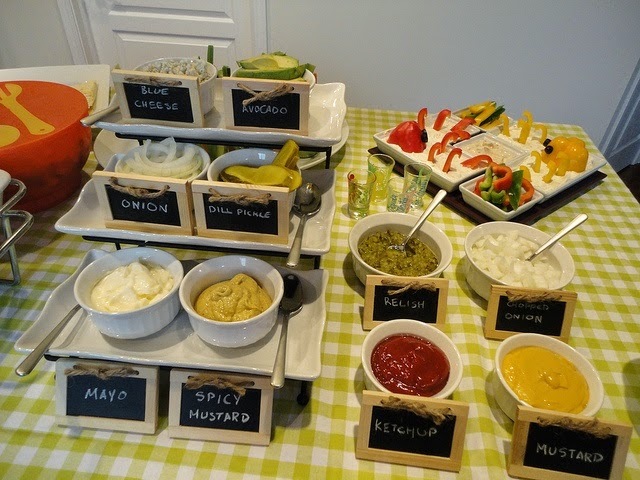 I plan on serving the sliders at a “burger bar” – I’ll have every condiment I can think of displayed in an organized attractive way. blue cheese crumbles, Roma tomatoes, sliced, baby lettuces, sauces, pickles, sautéed onions, sautéed mushrooms, assorted cheese slices as well as mustard, mayo, ketchup, bbq sauce etc. 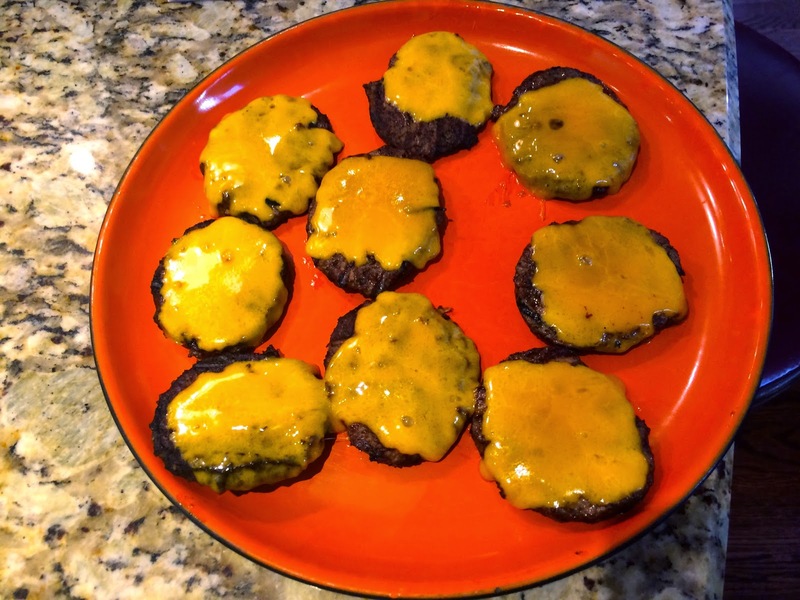 These burgers were the hit of the tailgate party! They are just so delicious and we didn’t season them! I had planned on adding some S & P, but they were on the grill before I knew it, but with beef this good (and blue cheese or cheddar cheese etc.) you don’t need another thing. They’re amazing. 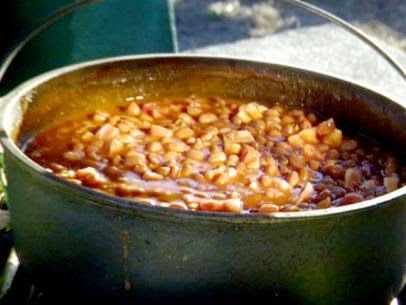 This recipe makes a ton of cowboy beans! It can be easily halved and you’ll have plenty. I had 20 people at this tailgate party, and we took home 2/3 of the beans. 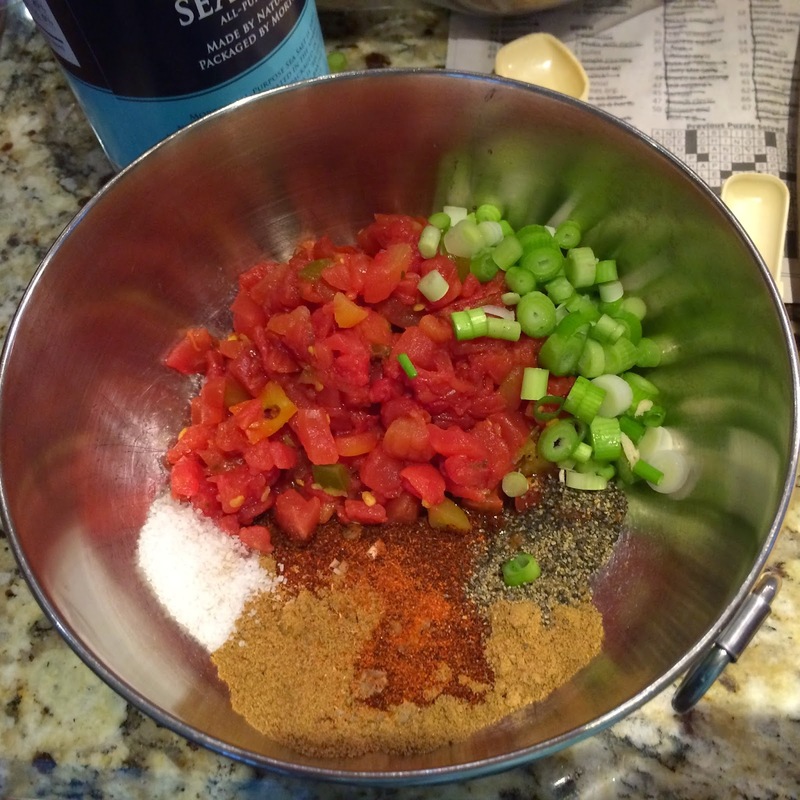 Preheat the oven to 375 degrees F. In a large skillet over medium-high heat, brown the ground chuck and season it with salt, pepper, and chili powder. Remove the meat and drain off all but 1 tablespoon of fat. Cook the onions and bell peppers in the remaining fat until they are soft. Return the meat to the pan and add the beans, brown sugar, barbecue sauce and jalapeños. 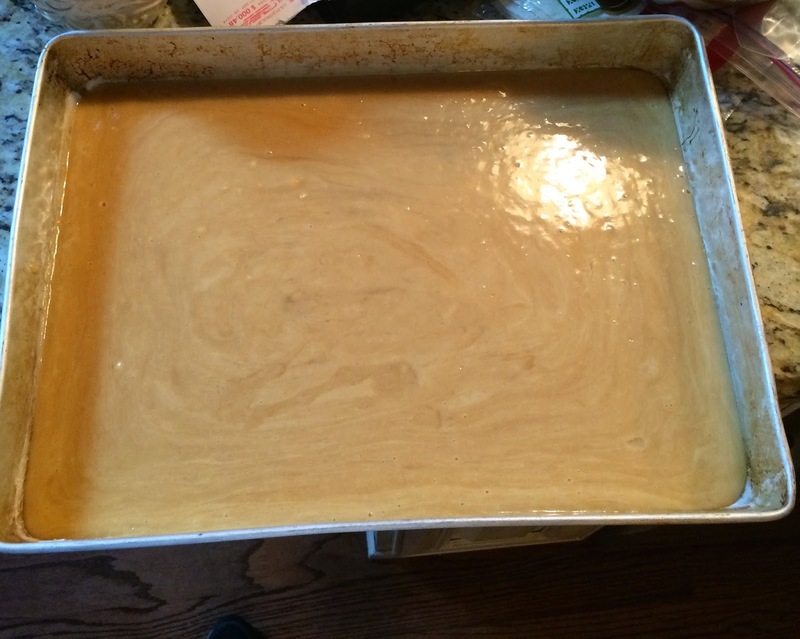 When everything is combined and the sugar has melted, pour it into a large baking dish and bake for 45 minutes. 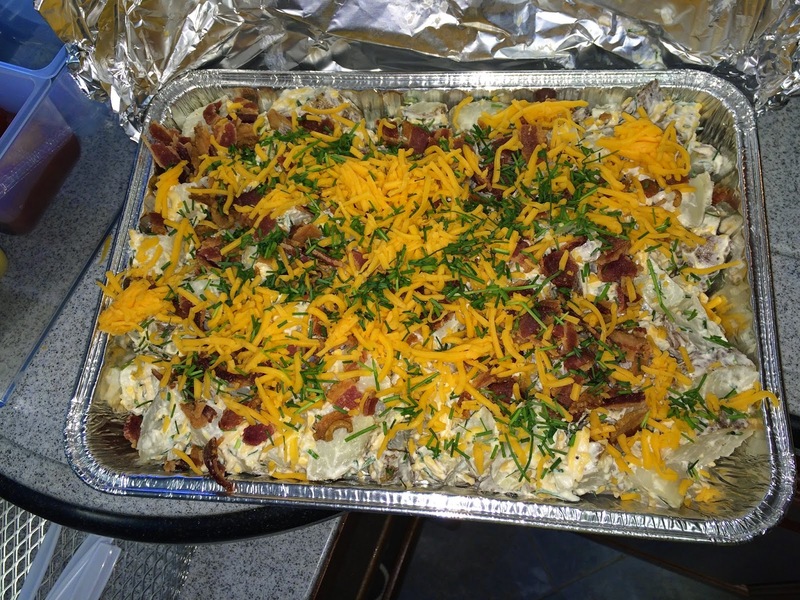 This dish can be prepared and then reheated on the grill at your tailgate. 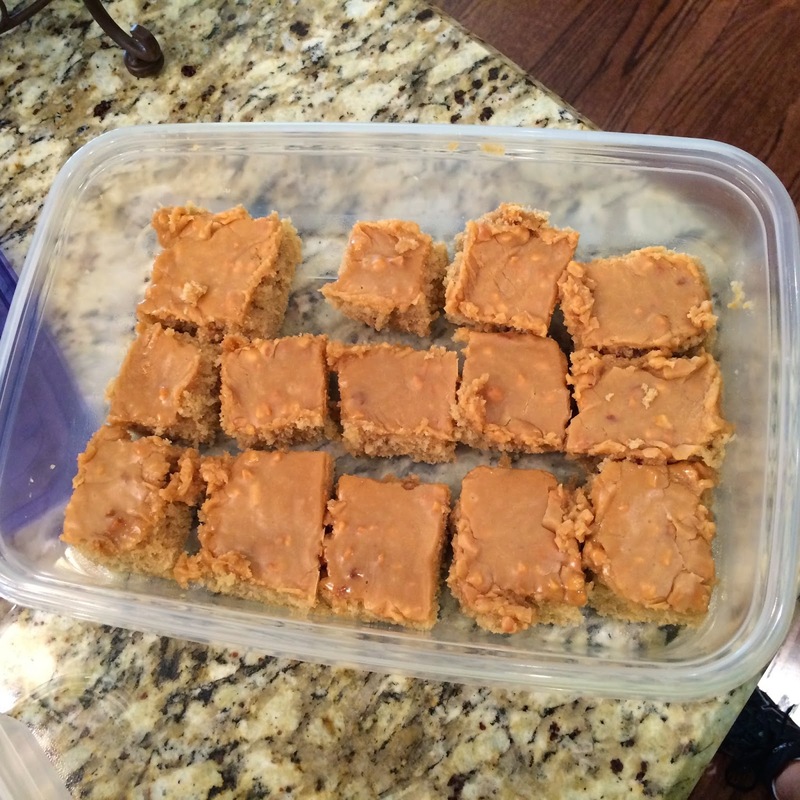 Preheat the oven to 350 degrees F. Grease a 9×13 or 10×15 pan. 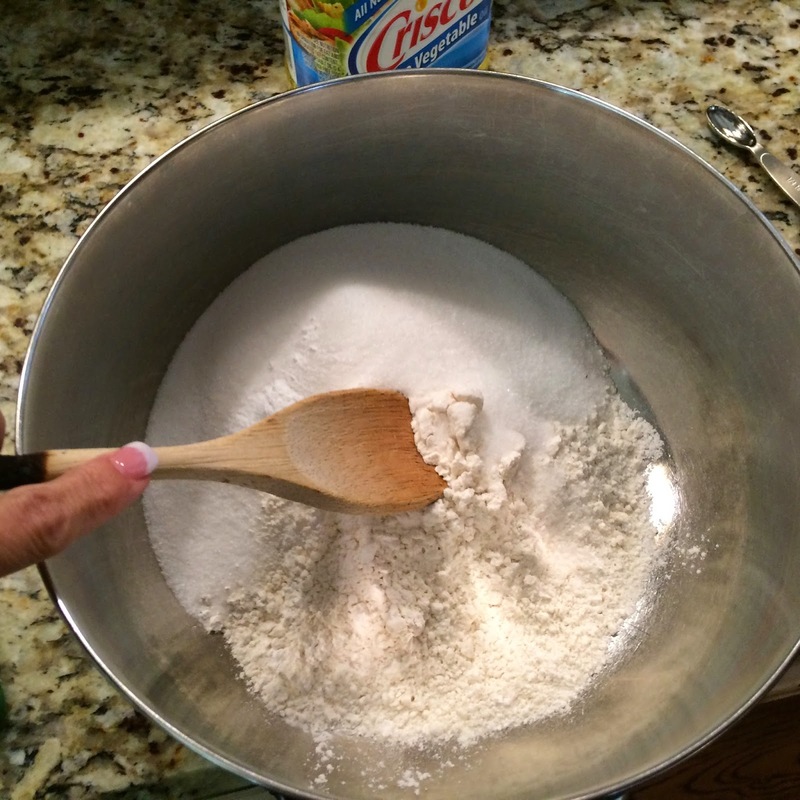 In a large bowl, stir together the flour, sugar, baking soda and salt. 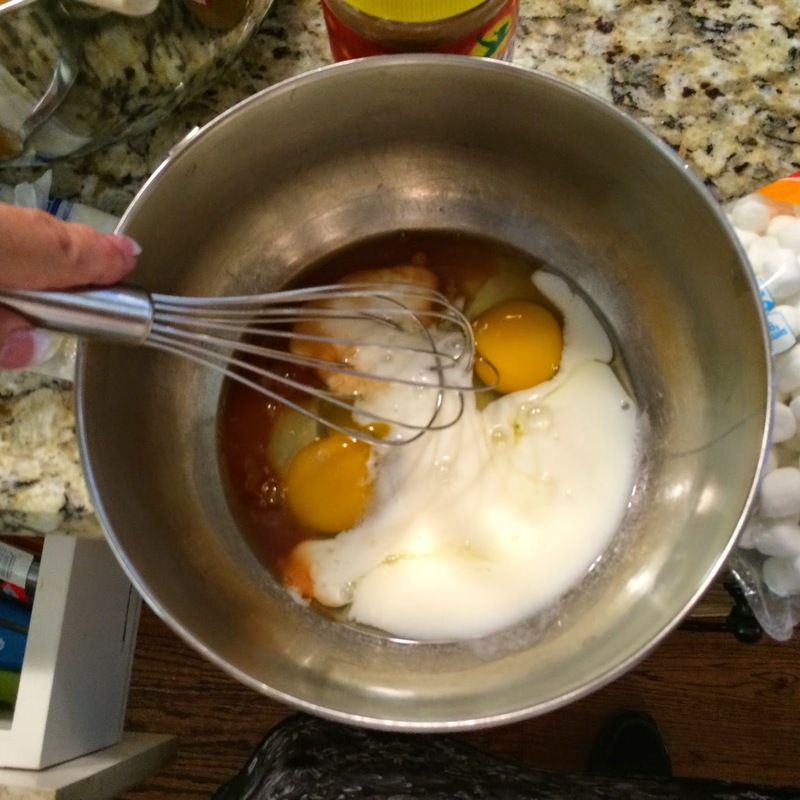 Combine the eggs, buttermilk and vanilla; stir into the peanut butter mixture until well blended. Bake for 20-26 minutes until a toothpick inserted comes out clean. 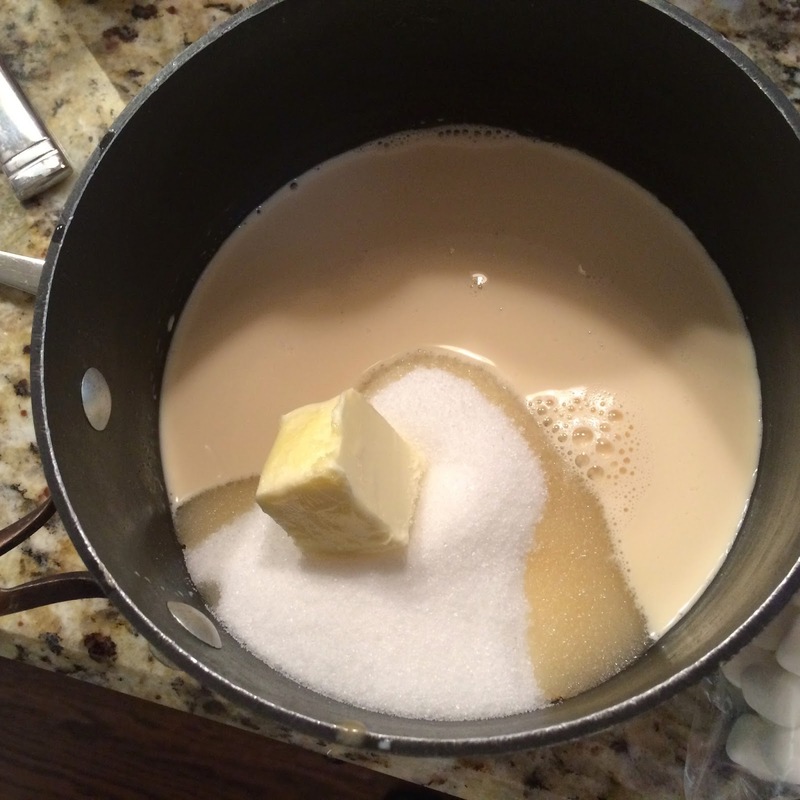 Place 2/3 cup sugar, evaporated milk and butter in a saucepan. Bring to a boil, stirring constantly. Cook stirring for 2 minutes. 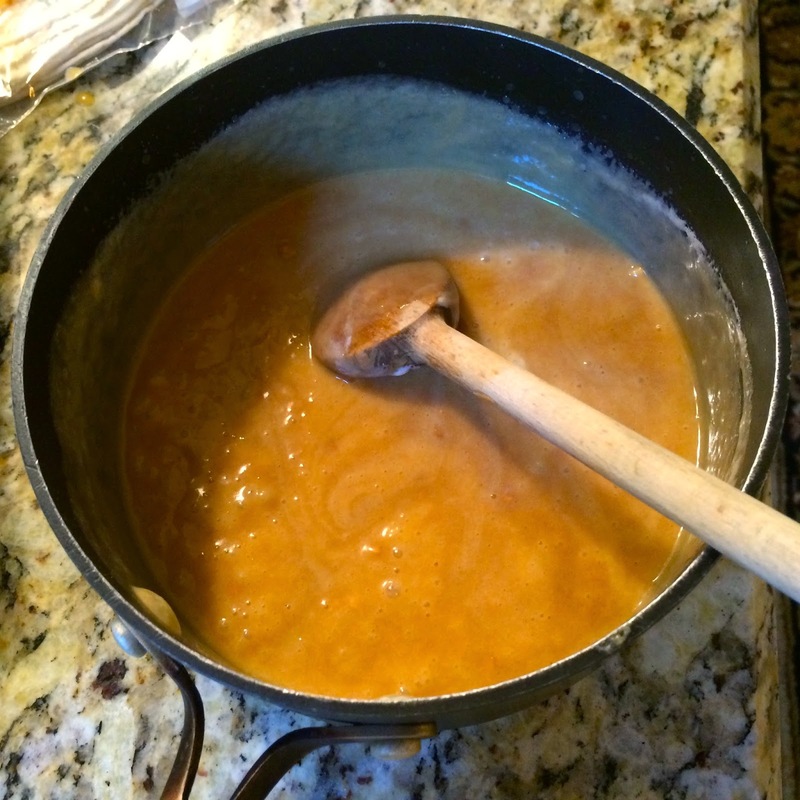 Remove from heat and stir in the peanut butter, marshmallows and vanilla until marshmallows are melted and the mixture is smooth. 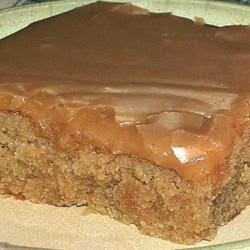 Spoon the frosting over the warm cake and spread in an even layer. Allow to cool completely before cutting and serving. This cake freezes well. This drink is so refreshing and so easy to make. And, depending on the Ginger Beer you use, the hue is golden (despite my photo looking green!) – – – so a perfect Georgia Tech drink! 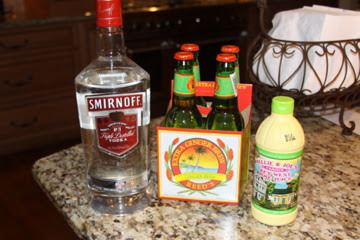 Squeeze lime juice into a glass, and add 2 or 3 ice cubes, then pour in the vodka and fill with cold ginger beer. Delish! 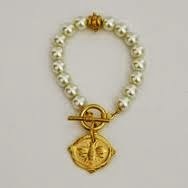 How adorable are these Susan Shaw jewelry items? 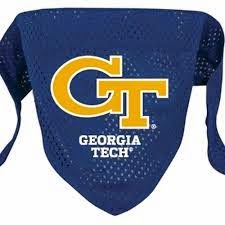 They have a variety of “mascots” such as bulldogs and elephants, but I’m partial to the bumble bees/yellow jackets of course! 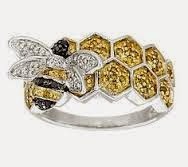 ;0) Most are available on Amazon. How cool is this CHILLED CONDIMENT SERVER I found on Amazon for under $23? Simply add ice to the bottom and you’ve got fresh and cool toppings for whatever you’re serving at your tailgate. And, it’ll keep the flies at bay. Love! And…I found these adorable accessories for my fur-babies. 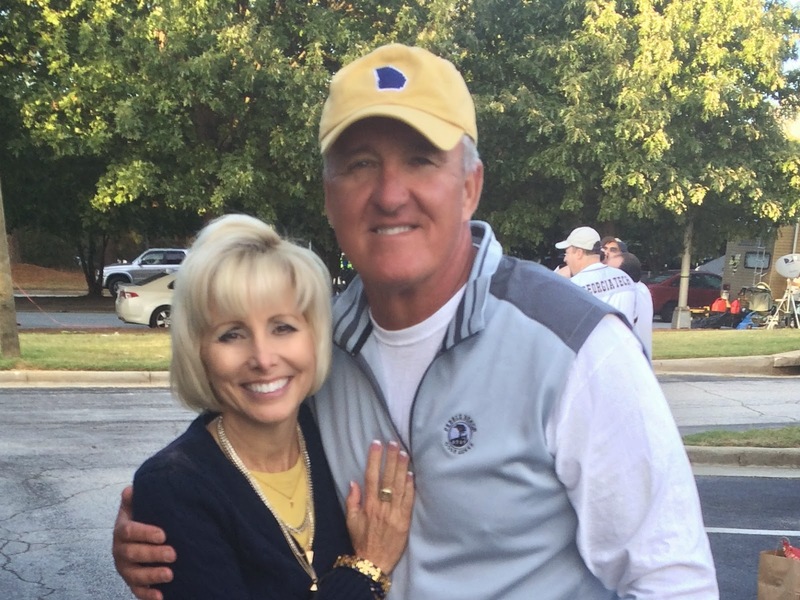 They’ll be attending this week’s tailgate and will be decked out in style. 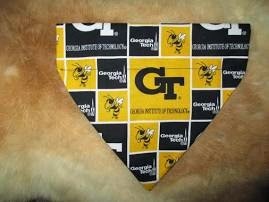 The 2 labradoodles will don the navy “jersey fabric” ones, while my little Boston Terrier will wear the gold and black one. Too cute! 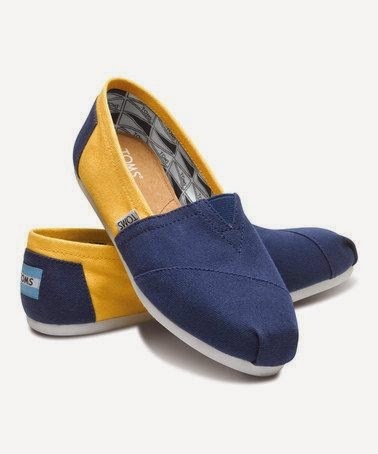 A friend of mine, Leslie Gupton, found these TOMS for me on Zulily. 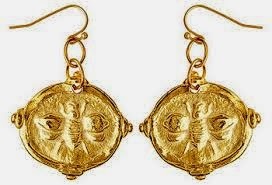 Yes, Tom’s are a little dorky I know, but I think they are adorable and ordered a pair for myself. They are super cute and really comfy – great to walk the distance from our tailgate spot to the stadium! 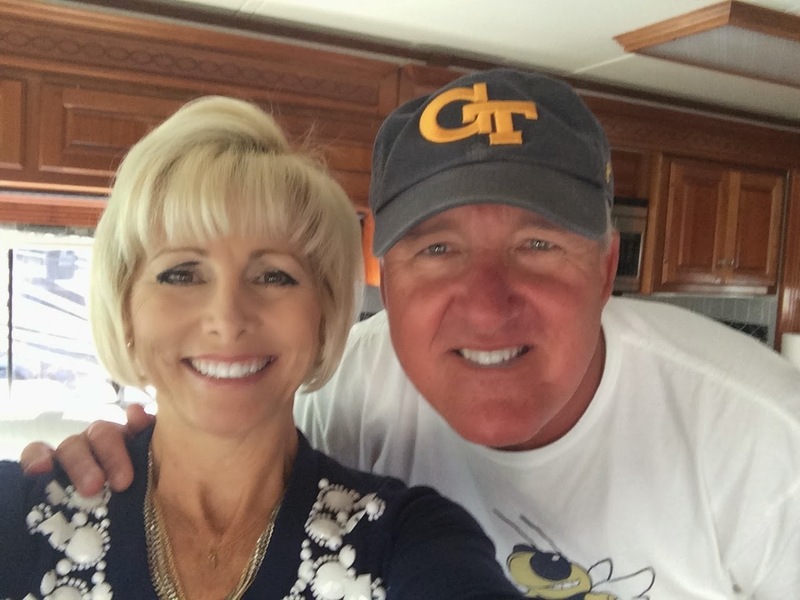 AND…GEORGIA TECH WON!!! Officially 5-0 heading into another conference game vs Duke!